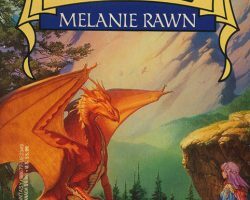 This cover painting in the popular Dragon Prince series by Melanie Rawn features the first Whelan dragon with patterned scales. 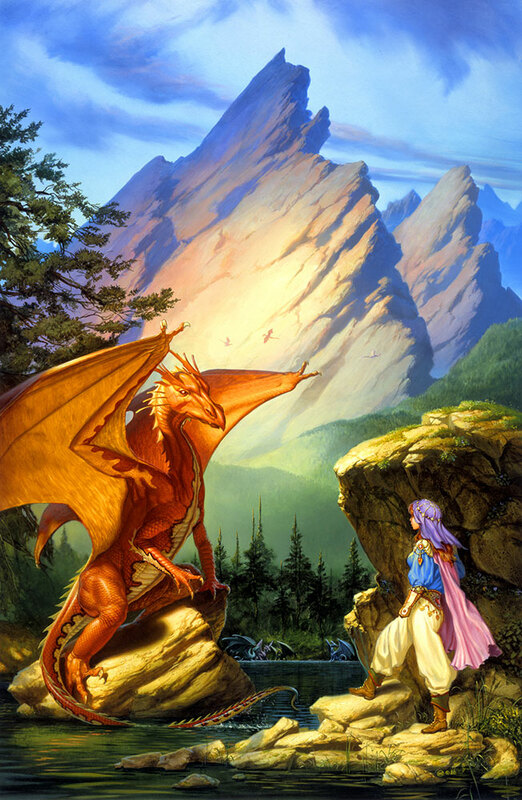 As High Prince and Princess, Rohan and Sioned must keep both the peace and the secret of the dragons. But the legacy of their evil predecessor remains-and as their son Pol grows up, the kingdom splits in what may become a bloody battle for the crown. To make things worse, a long-vanquished foe vows to destroy the Prince. 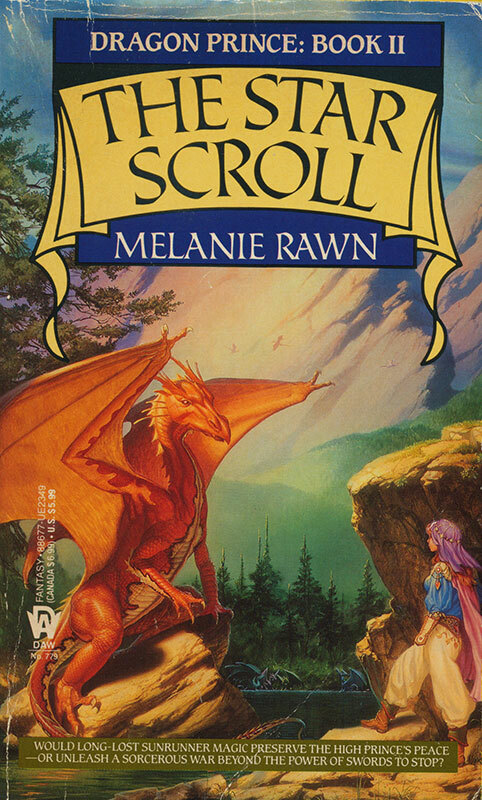 The only hope of defeating their dark sorcery lies in reclaiming the knowledge so carefully concealed in the long-lost Star Scroll.